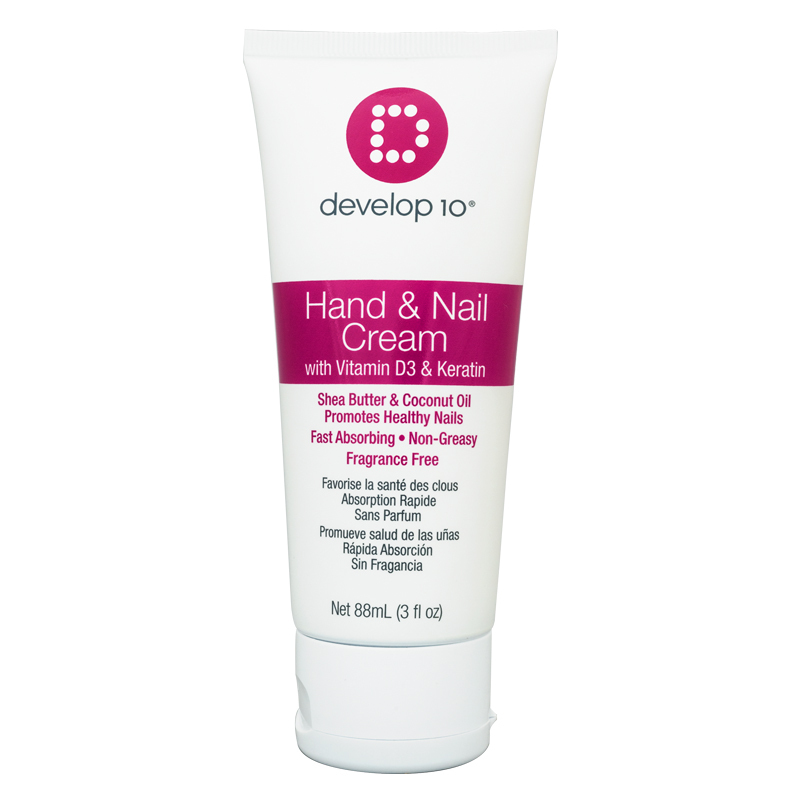 Hand & Nail Cream with Vitamin D3 & Keratin – Fast absorbing and fragrance free, this moisturizing, rich in shea butter & coconut oil cream will feed the nail matrix, promoting flexible, healthy nail growth. Hands stay soft even after being in water. Leaves hands feeling soft and hydrated. Directions: Apply to hands, nails and elbows. Massage until completely absorbed. 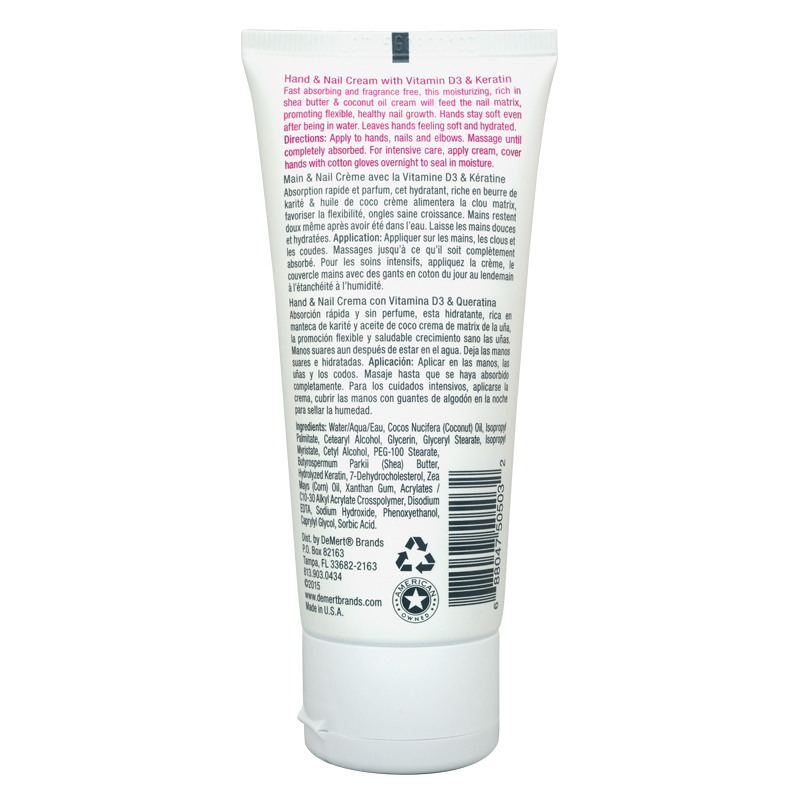 For intensive care, apply cream, cover hands with cotton gloves overnight to seal in moisture.